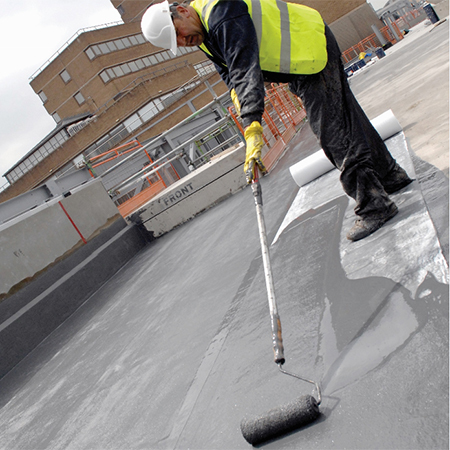 Kemper System has provided its KEMPEROL® V210 cold liquid-applied waterproofing membrane as part of upgrade works at Huddersfield University. Recent improvements to facilities include four new buildings, including a new sports hall, Dean’s office and corporate suite, designed by architects Watson Batty. The four buildings have been constructed with a single steel frame and all adjoin each other but rise to different heights varying from 2-4 storeys. 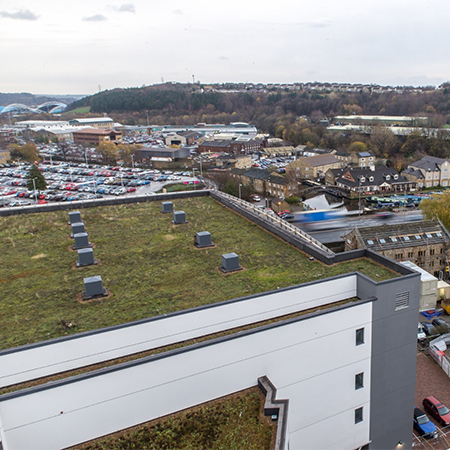 To enhance the biodiversity and aesthetics of the development, green roofs were specified for three sections of the building, including the sports hall, and a warm roof was specified for the corporate suite, in total covering a combined area of 4,500sqm. 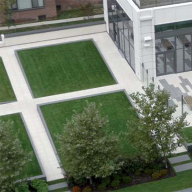 While the intention for the buildings had always been to install a combination of green roofs on three of the four roof areas and a traditional warm roof build-up on the fourth, the architect had originally specified a single ply membrane as the waterproofing system for the project. 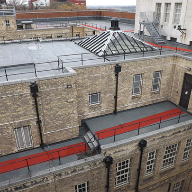 However, having used the KEMPEROL® V210 cold liquid-applied waterproofing membrane from KEMPER SYSTEM for around 30 years, Cawston Roofing suggested to the architect that this would offer a more practical and durable alternative for a similar installed cost as the original specification. 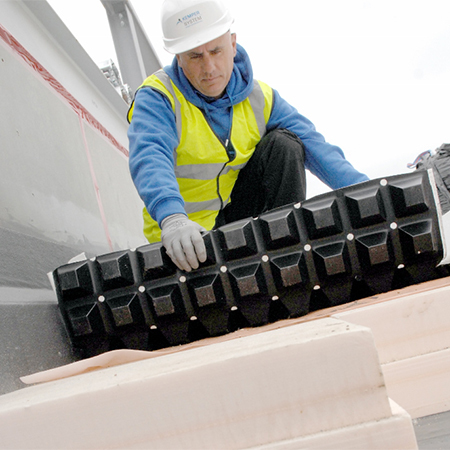 The proposal from Cawston Roofing and ABG was to invert the roof by applying the KEMPEROL® V210 waterproofing membrane first, followed by the insulation, the blue roof drainage reservoir and then the growing medium. 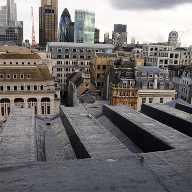 The corporate suite section of the building has a metal deck roof and here the roof build up featured a vapour control layer installed directly onto the substrate followed by KEMPERTHERM warm roof insulation.